Hello backers and a happy new year to you all! 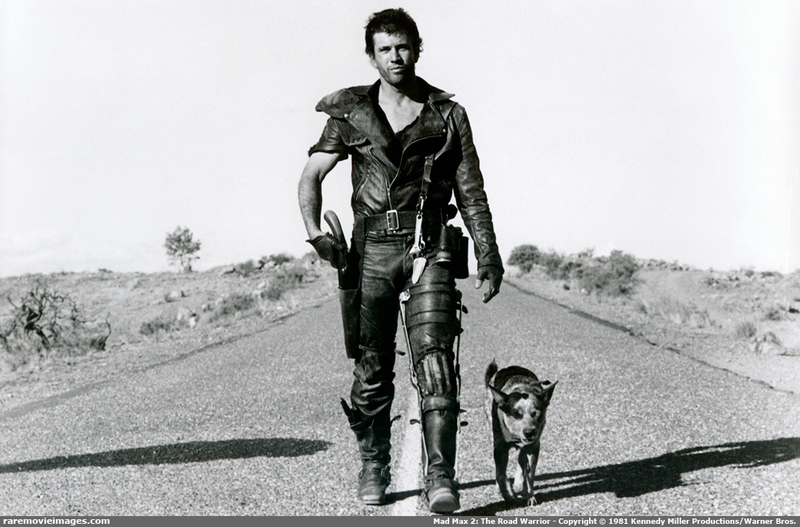 I only watched the Mad Max films for the first time on on New Year’s Day. I can’t really explain why it’s taken me so long, but I’m glad I watched them because the second film in particular is superb. Looking back, it’s amazing to see how much of pop culture and indeed apocalyptic culture has been influenced by Miller’s work. I was so enamoured with The Road Warrior that I started writing more of Bust issue #2: Wasteland Ronin, and I actually double-taked at how unknowingly similar some elements of the series is to those movies. The evil characters are quite barbaric, almost tribal in nature, and they dress really weird too. They also have rusted vehicles that are barely held together by duct tape and crude welding. In many ways issue 2 is about the new makeshift America that emerges from the ashes of issue 1’s terrible plague. The mutated freaks you’ve seen Jack fighting so far have quickly died out and aren’t seen again, but their destruction caused society to collapse. The new arc is in many ways a cipher for the responsibility each of us face when starting a family or moving on by letting go of your youth, to step up to your charge and do what’s best for those closest to you, while growing selfless at the same time. Does such decency and responsibility exist in a post apocalyptic world, or is it truly every man and women for themselves? That’s the theme. I’m now 18 pages into the issue and it’s really taking form now, so I wanted to share this little insight with you. The plot still takes place in America’s South, which is now called the ‘Free South’ by several characters. I’ll have more to share on issue #2 soon. In issue #1 news: work continues on pages 17 and onward, and I’ve been growing my list of indie comic shops here in the UK. I’ll be getting in touch with them around Feb to send a few copies out, and to hopefully sell some to make money for issue #2. Chris and I have also started discussing the issue #1 cover, and should have more to share soon. Thanks guys, we’ll have more soon! Next£50 Backers start to appear in the comic – Look!